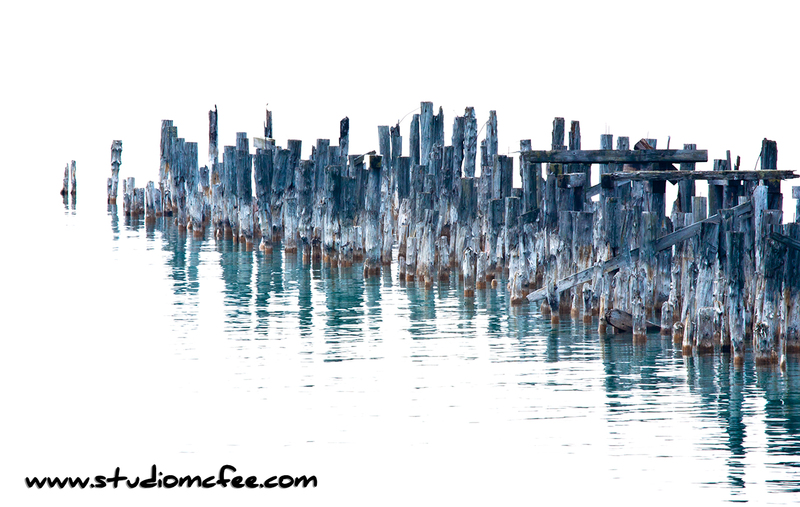 Long abandoned, this old dock at Michipicoten Harbour was used to unload iron ore. The plant served by the dock is closed, shuttered and fenced off. 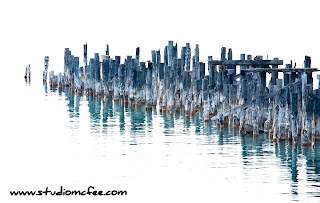 Michipicoten Harbour lies on Lake Superior just off the Trans-Canada Highway near Wawa ON. It's worth taking the time to visit the area. In addition to this tranquil harbour, there are beautiful beaches and islands not visible from the highway. Although the dock is in ruins, it makes for an interesting photo. The day was overcast, water and sky were gray. Overexposing the photo left only the dock and its reflection in the frame. I like the effect. 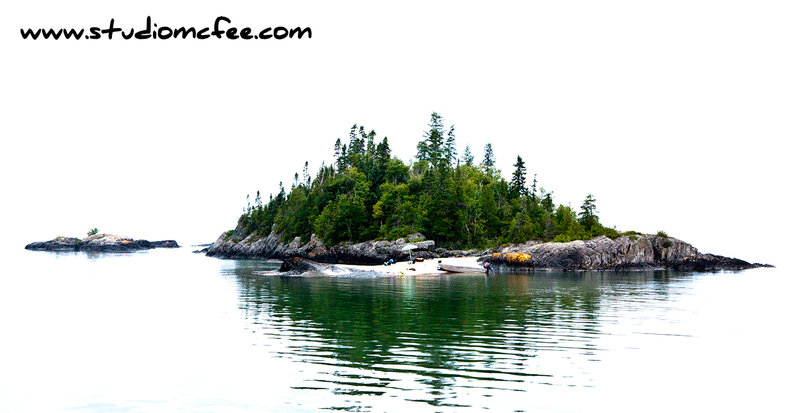 For more about this area, read the post Spirit Island on this blog. Please share this post via email or social media using the buttons below. Comments are also welcome.